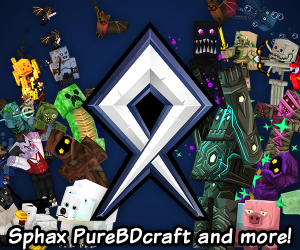 Hello there everybody, and welcome to PMC Debates, a new blogging collaboration between SlipB and yours truly. We will be debating a topic of our choice, and yeah, you get to see the outcomes. This has been interesting trying out. I know we had fun, enjoy. The question this week was chosen by me. I am a huge fan of the Yogscast and still watch their videos now. I first got into them when my friend told me about these guys who played Minecraft and were making a really cool series: Shadow of Israphel. So I sat there for hours on end just watching this. I didn't have many friends. Anyway, I think that since SoL stopped, their popularity has decreased. If they were to start it again then their subscriber count would shoot up. Do you have any thoughts on them? Well, I personally haven't watched a TON of the main channel Yogscast, mainly SoL and their original Minecraft series. I that, as its expanded to people beyond Simon and Lewis (Duncan, Hannah, ect.) it's lost some of it's quality overall. I've recently been watching some of the more recent main channel and I think Lewis and Simon by themselves aren't as good as the used to be... They still have nothing close to their original stuff. (Yogsquest, though not really game related, is really good). However, I am a big fan of Sips and Sjin. Sjin is a pretty good builder and Sips is just plain hilarious. I kinda wish the Simon and Lewis would bring them into the main channel more. I think that Sips is by far the best member of the Yogscast. Although Lewis and Simon are the fan favourites, Sips is just legendary. Sjin is a really good builder and should really do more Let's Build. I actually really liked Yogsquest. They've semi-replaced SoI with Yoglabs which is nowhere near as good. The thought that goes into their commentary is amazing though. They're not the best at acting but that fact just makes them funnier. Although Duncan is the tech-whiz of the group, he doesn't get as much credit as he should, but that's probably down to his awful commentary skills. Inthelittlewood is my favourite YouTuber. I don't really count him as one of the Yogscast because most of his stuff is solo. I would definitely agree with you when it comes to Sips. Although he's currently decently popular among the Yogscast fanbase, he deserves much more recognition then he gets. Same with Sips. Personally, I don't think Sjin is that good at actual game playing (Such as Sjindie Games), but yes, his Let's Builds are great. I hear loads of people love Inthelittlewood, but I've never watched him. I personally can't stand Duncan. Something about him just rubs me the wrong way, maybe it's his horrid commentary, as you said, or maybe it's just his voice. I just can't stand him. Although I didn't want to admit it because I try to give everybody what's due, Duncan also annoys me. His stupid voices which are terrible and sometimes racist really annoy me to no end. I think that inthelittlewood has so many fans because he seems like a normal person without being too showy just for YouTube. I know exactly what you mean. Some of them just try to be stupid or over-the-top for their fans, (Who are usually young children.) then in the same video they'll make a sexual joke. It's disgusting. Examples of this are SkyDoesMinecraft and ASFJerome. Even Antvenom is losing his touch because he's trying way too hard to be funny. Exactly. They pretend to be things they're not. That's one thing I love about Sips, he doesn't even try hiding who he is, he embraces it. I think that's one of the things needed to be a great Youtuber, you just need to be yourself. But less and less Youtubers (seeing the "success" of "fake" youtubers such as SkyDoesMinecraft and Pewdiepie) are being themselves, opting for craziness and screaming and stuff. However, I think there are a few Youtubers who are actually like that. Tobscus, for example. You can just kind of tell. Tobuscus isn't really the kind of YouTuber that I like to watch, but he keeps his videos clean because he knows that his audience is made up of 10-15 year olds mainly. I'd have to disagree with you about PewDiePie though. Although I don't really like him much, I do think that he's being himself. My only evidence of this though is when I watche a video my friend sent to me along with a message saying "PEWDZ IS RASIST". I watched the thing and found out that all he did was accidentally say N____r whilst singing a stupid song or something. But yeah. although it is bad that these popular "fake" YouTuber's don't seem to recognize the base age of their fanbase, they definitely know how to entertain their fans. Well, not only the "fake" Youtubers have problems recognizing the age group of their audiences. There are VERY few popular (gaming) Youtubers who keep stuff clean, or at least try. I know that in Sjin's solo videos, he purposefully tries to keep it clean as possible, and like you said, Toboscus keeps it clean because he recognizes his audience. I think one thing we can agree on, most Youtubers need to clean it up. Yes, the Yogscast don't really keep their videos very clean, that's because they want their commentary to be for older and more mature gamers. Simon and Lewis try to keep a mature attitude about commentary but they are rather childish at times. I know that Duncan also likes to keep solo videos clean as does Nilesy: A less known member of the Yogscast. Yeah, I've noticed that. I've never really watched much of Nilsey (wow, I haven't watched a lot of the Yogscast), beyond what he does in the Sips and Sjin Tekkit series as their poolboy. Heh. The pool. But yeah, main channel and Sips, not clean. Everybody else, sure. 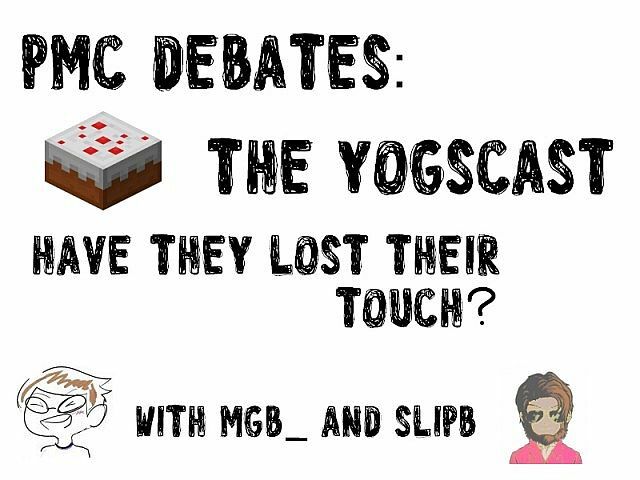 So, we've been debating for a while now, so let's answer the question: Are the Yogscast losing their touch? My answer is yes. When they made Shadow of Israphel they were at their highest point. Although they keep gaining subscribers, the quality of their videos is going down (Jurrasic heart, for instance). I'd agree. I think SoI was probably their greatest moment and all of their series have gone downhill from there. They have had some shining moments, like YogsQuest, but beyond that the overall quality has fallen. The next one will be going up on SlipB'spage! Know when they really lost their touch? When they started to do adventure map videos, which borderline smothered the Tekkit series and all the other Modded Minecraft survival series. Adventure maps lose their touch because of running gags. If comedy = tragedy + time, the tragedy (or running gag) found in each video featuring an adventure map dies out because it never has enough time to develop. Entertaining and Informing. As I explained in the comedy equation, the Tekkit series never failed to entertain. It also showed viewers such as myself how to make basic machinery in Tekkit. By attracting such a large fanbase, Yogscast members were showing people how to make a partially complicated modpack both easy and fun. This attracted a large community interested in modpacks as opposed to singe mods. Whereas adventure maps simply die out once the Yogscast finishes them; who wants to go on an adventure where someone's already visited when you could be in uncharted territory? TL;DR: Modded Survival series puts the "Let's" in "Let's Play." One question: What about Etho? Shadow of Israphael was good, I will say. It's actually how I found out about Minecraft in the first place. I wish they would hurry up and finish it, though. Tekkit was pretty good at first, but all it was was them building, stopping to fix their machines, and then more building. I eventually got pretty bored with that and then started on Voltz, which I wish they'd continued to an actual stopping point, rather than Sips and Sjin screwing up and setting off Redmatter Bomb, resulting in them ruining the series. The rest of the playthroughs are actually really great, if you actually watch them rather than just judging them by what they're entitled. I disagree about them swearing, as they weren't meant to be watched in front of kids anyways. I understand that you don't think they should swear, but Sips doesn't swear that often, although I won't lie that I can't stand it when he does. The comment about Duncan being annoying is kinda rude, in my opinion. I honestly think he's a hoot, although I will admit that I hated his South Park: The Stick of Truth playthrough, as it took him about 40-50 episodes to finish the game, while Martyn took about 30. He and Kim make a cute couple, I would imagine, and I could see them as more than just friends. That's all I'm saying on that subject. YogLabs is their attempt at mod showcases, and they never tried to replace Shadow of Israphael. Heck, they even reference more of it in one of the episodes of YogLabs, and Lewis himself promised more SoI in due time! I honestly think that they've done pretty well with it so far. I've seen a few mods that I never knew about, such as the Hamsterrific mod by Razzleberryfox, which is an amazing mod, btw, and some other ones that I don't really remember. The group itself is perfectly fine, I don't know why you hate it that they're a group. Yes, Duncan, Kim, Nilesy, Martyn, Sips, Sjin, Panda, BeBopVox, DaveChaos, and many other people who are members now weren't members back then, but I don't see why you can't just watch their old videos when it was just Hannah, Simon, and Lewis. If you hate the new members so much, then why even bother to watch them? It just seems rather dumb to me. These are my opinions on this blog, I'm not trying to be rude. If you feel that I am in any way, tell me and I'll edit this. They have to much people in the team. Too *many people in the team. Whoah guys we got a grammar freak over hear. You have a problem with being able to spell? Also, you're taught how to use the right kind of *here* when you'reabout 6. Apparently you still haven't gotten the gist of that, or... you're just not yet 6. I spelled perfectly, you pointed out a little mistake that really doesn't matter unless you are writing something formal. I don't think a six year old would be promoted to a contest judge unless they were some child genius. The fact that you're a contest judge has nothing to do with this. Whilst Floppypancake31 was being rather rude (in the second comment) in my opinion, you should listen to corrections; this is basic grammar which everybody should understand how to use. Whilst Floppypancake31 wasn't too polite here, he was right. Spelling perfectly has nothing to do with it; the grammar wasn't perfect and you did not listen to the critique, which is wrong. You don't know anything about typos do you. Ehh, whatever. It's a waste of the paint on my keyboard arguing with you. End of. I honestly did enjoy their earlier videos, such as Shadow of Israhpel. I didn't really mind their language, which was made up for by their humor and childish, fun attitude. Saying that, I haven't really watched any of their recent videos, I did try to watch one the other day, but I lost interest. Perhaps maybe they've just gotten boring to the people who usually watch their videos? Or maybe something changed with their humor or personality that maybe turned off a lot of their viewers. Anyways, I really am I big fan of your blogs! c: I do hope you make more. Wow your slow, they got boring ages ago. Not to me! :D The Yogscast is still my favorite channel. Mostly, Ridge, Duncan, Lewis and, Simon. Duncan was hilarious in Moonquest. Especially when he found that huge hat XD. And the Voltz series? Epic ending! Ya they did... I used to love watching their videos (especially Shadow of Israphel) and then the videos started to get boring so I didn't watch them as much. Once in a while they made a video or two that was good, but their videos really sucked. Aswell, their popularity plummeted I think. They need to stop being so formal with their video names, that's one thing that made me stop watching. SOI got really boring in the end for me, so I have no problem with it being stopped. Trucking Tuesdays and now Simple Simon are *hilarious* and more than make up for it. To be honest, if the only reason you watched the yogscast is SOI then you aren't much of a fan in the first place. This is a theory..They could be working on a new SOI. As you said they sort of replaced SOI with Yoglabs..And in their latest videos of yoglabs, (Raiers of the lost archives) they've shown things like "SOI Scripts"
A video of yoglabs hasn't been out for a few days now, and Ithink that they could possibly be workingon a new map. There was an interesting thread about this on the Yogscast forums- I'd show it to you but I think you need to be a member to view it, I'm not sure though. Could you send it to me? I'm a member, I believe. I hate how people keep saying SoL. Its SoI. Like, (s)hadow (o)f (i)sraphel. not Shadow of Lsraphel. also, i think if they started SoI up again there would be lots of controversial view points. Most 'fans' will probably rage that its not as good as it used to be and they could do it better. Thumbs up... errrr... diamond up? But seriously, great idea for a blog. Well, to be honest in my opinion- definitely. However Simon and Lewis did get me to start Minecraft. I watched about 10-12eps of them playing minecraft (starting off with the little wood hut, killing pigs, keep falling in a pool of lava) and it's what made me kinda beg my mom to buy me minecraft. However after I got minecraft I stopped watching the vids, I know the basics and from there I can go complex, early febuary this year I was messing around on youtube with the minecraft servers down. I found out about SoL, to be honest I never really gotten into it. I'd watch some of the other episodes but they became rather annoying after a while when I was surrounded with all of the fans, so I stopped, a few months ago like June I revisited their channel, watched a ep or 2 of Yogslab, and I have to say, not a fan. I'm more into VenturianTale and time-to-time MumboJumbo and Minecraftbuilder92(I think, lots of tutorials on modern builds). So also in consideration, my taste has changed. All in all This is a great topic and debate, and one thing to keep in mind: sometimes fame can get to you and makes you something you're not. The only Yogscast vids that I watch are their parodies. Well, Simon and Lewis' parodies. The latest series by them "raiders of the lost archive" may possibly turn into shadow of israphel, as there were many ocations where they had fake SoI scripts. I like this blog, but I agree with some of the fans, I've never seen SoL, but YogLabs is just horribly funny, I just love it since the beginning, and I want a nyan cat launcher. I have to say this is an awesomely written blog (even if you are just writing down a conversation). As far as the topic goes, I wasn't around when yogscast first started but I have watched them grow into the conglomerate they are today. I do agree with you that they have to seemingly lost their touch, but I feel as minecraft is dying down so isthe quality of minecraft based Youtube stars. These stars are just trying too hard, but more so then that they have found themselves in a monotonous state. Week in and week out they just do the same type of videos, mod review some crappy map. It never changes, they saw one thing worked and just kept going with it. Now they are starting to lose fans because of it so they try to do new stuff, but it isn't working and it is driving away their loyal fans. I just think that this ear of Minecraft Youtube stars is going to end soon. As sad as we will all be to see it go, in the end it will go. The Yogscast will always be amazing to me. LEWIS AND SIMON RULE!!! Me too! Remember the ending to their Voltz series? Who knew Ridge could build such amazing bases, right? It's fake. There is no 31st of Novemeber, is there? They lost it a long time ago. i don't think they have lost there touch, every youtubers are getting better quality and changing there set ups.. but they will always be my favorite Minecraft Youtubers.. I've made so many typos. If you don't mind, could you please correct them? I don't watch them as much anymore because they stopped Shadow of Israphel, Now i only watch their Yoglabs and afew of their multiplayer map videos. Have you ran out of blogging ideas. I mean, really. Nobody cares of Yogs anymore. could we debate some time. Seems like an interesting thing to do with a great blogger of your caliber. I think the Yogscast have lost their touch. I used to watch them all the time but now I just don't find them that entertaining anymore. I think it's because they stopped doing SoI, but I don't know, maybe they just don't do as many cool/funny things to me. You should get more people and more opinions in on the debates. A debate isn't a debate without every argument being heard. Yeah, we were originally planning on actually debating something, but it turned out we both agreed on this topic. It's fine to have similar views, or even the same towards the end as this shows that one person is convincing, but to start with mainly the same views, it's not much of a debate. Touche. I shall bring this issue before Slip.